How to build the tools, systems, and features in such a way that they are easy to use and build upon. How to get simplicity and user experience of your fellow co-workers as the centerpiece of your development. After quite some time without an update and a flood of copies released on Asset Store of a new project, here is the full source code to anyone who needs ! Is being quite a while since my last post here! My life is a bit crazy with the moving to Netherlands to work at Paladin Studios, but I saw something this morning that's really amazing! I really want to share you all of you! Hello everyone, I'm a bit of a crunch lately, so this is why I'm not posting so much, but I get some time today, and decided to do a post, about something really useful for unity developers, that want to display like a list of friends or anything like that, but can't rely on having more than 300 game objects on the screen. But that was really old, and I need this again, I've tested a few solutions on Asset Store, but none of this are really good in my option, then I've found a solution from one guy, that really works REALLY well! RegisterLogCallback is now deprecated in Unity 5. It suffered from a big issue that it was basically just a delegate (not exposed as an event). This means that any class that used it was overriding all the other delegates that were assigned to it. I know that 31 draw calls still not perfect as I want, but there is a lot of dynamic images being loaded from the server, and a lot of dynamic fonts here! I'll do more optimization later, and post here the results! - Additional Error Sign draw call is saved by the batching. But what happens when this like sign is in the middle of the 2 errors signs? And what about reuse this same text? This will generate more draw calls of not? I've found this, and has been proved really worth, all that I want is display a label on the menu on my games / apps, when you display the current version of your game, so you can debug things easily when you're trying to found / debug some bugs. 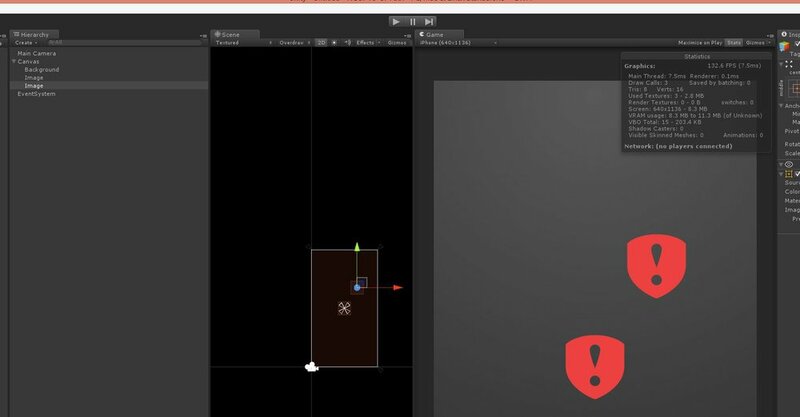 There is only a catch, this will be update when you open your unity, and ONLY when you open your Unity, so when you change the bundle version, you need to restart the unity so you get this new version. Fast platform switch without cache server? 17:      /// Coroutine with return value AND exception handling on the return value. 27:      /// Lockable coroutine. Can either wait for a previous coroutine to finish or a timeout or just bail if previous one isn't done. 28:      /// Caution: the default timeout is 10 seconds. Coroutines that timeout just drop so if its essential increase this timeout. Just execute the following code from the menu “Tools/Find Missing references in scene”. Just discovered that, and want to share with you guys.